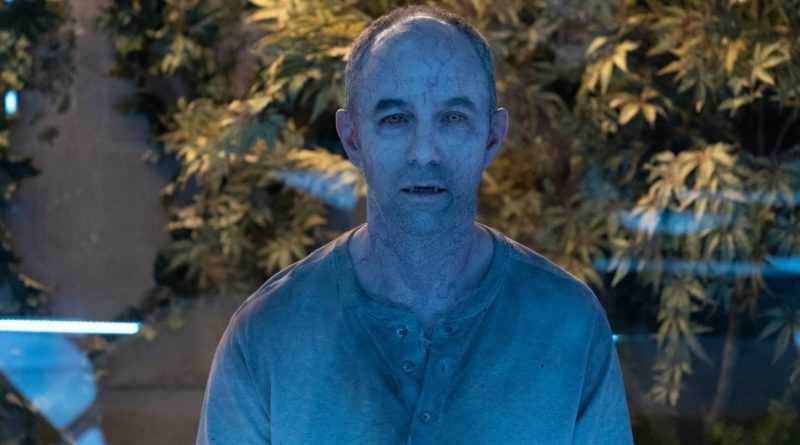 The premiere episode for FOX’s latest genre series, vampire drama The Passage, is a bit of a whirlwind; there’s plenty of violence and action sequences mixed with long periods of exposition and relationship building. The episode wastes no time in explaining the universe’s current predicament; humanity faces a pending worldwide apocalypse caused by an avian flu pandemic, oh and vampires are real – all before the opening credits! The scale and setup of the show is pretty impressive, but can it can live up to the source material it’s based on, the 2010 novel by Justin Cronin? One of the pilot’s opening statements is a pretty bold but intriguing claim, “My name is Amy Belafonte. This is how the world ends.” Enter friends and colleagues Dr Jonas Lear (Lost’s Henry Ian Cusick) and Dr Tim Fanning, who discover a supposedly 250-year-old man imprisoned in a Bolivian cave with strange healing powers – and what does Fanning do? He only opens the cage and gets close enough to get bitten on the neck by the creature – surprise, surprise! Have these people never watched a horror film?! Three years later and Fanning is Patient Zero in shady scientific research project named NOAH, headed up by the D.O.D. The aim of the project is to use Fanning’s ‘disease’ to create a vaccine to battle the impending Bird Flu pandemic, experimenting the vaccine on death row subjects, supplied with the help of federal agents. But following several failed attempts on the adults subjects, the project comes to the conclusion that only children’s immature immune system will survive the immunisation process and bond with the virus, without contracting the nasty vampire side-effects. Enter recently orphaned 10 year old Amy Belafonte (Saniyya Sidney), the target for NOAH’s next stage of their experiment, and ex-special forces federal agent Brad Wolgast (Mark-Paul Gosselaar) who’s sent to abduct her. However it doesn’t take long for Wolgast to question the morals of what he’s doing following their bonding at a carnival, instead choosing to save her, trying to atone for the death of his 10-year-old daughter. The two go on the run despite not really having a plan, knowing just what will be coming for them – queue plenty of car chases, shoot outs and near misses. The writers seem to have trouble juggling the two plot threads, putting the intriguing impending vampire apocalypse on the back burner in favour of a road trip with Amy and Brad, which is a bit of a weird move. Sure, Sidney and Gosselaar have real chemistry and an emotional connection – Sidney is particularly brilliant in the sassy role, but I’m way more interested in the telepathic vampire subjects who seem to be popping up in people’s dreams. NOAH has also just recruited new death row subject Anthony Carter (McKinley Belcher III), who will surely play a crucial role. Overall, the pilot of The Passage is definitely ticking all the right boxes for the genre, as well as featuring some fantastic performances from leads Sidney and Gosselaar. The episode sets up a very intriguing ‘end of the world’ plot, but neglects this to spend most of the pilot building the bond between Amy and Brad. I just hope we get less drama and more apocalyptic action next time round, but I’m definitely getting The Girl with All the Gifts vibes, which does intrigue me!